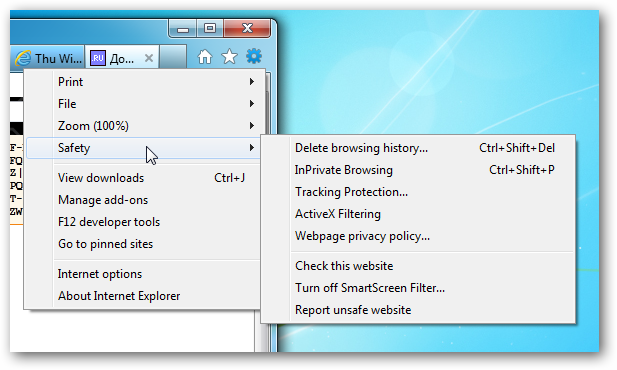 One of Microsoft’s leading technologies that protect us from the dangerous web is the SmartScreen filter in Internet Explorer. Since the filter is crowd-sourced, it helps tremendously if you do your part, so let’s take a look at how to report a malicious website. 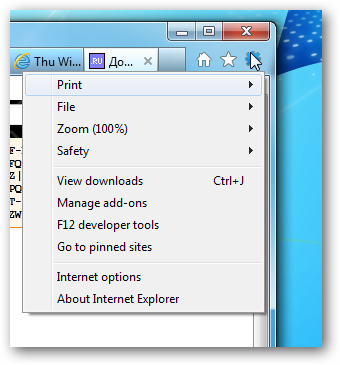 Reporting a website in Internet Explorer is made extremely easy and can be done from the Tools menu. 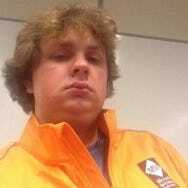 Navigate over to the safety section. 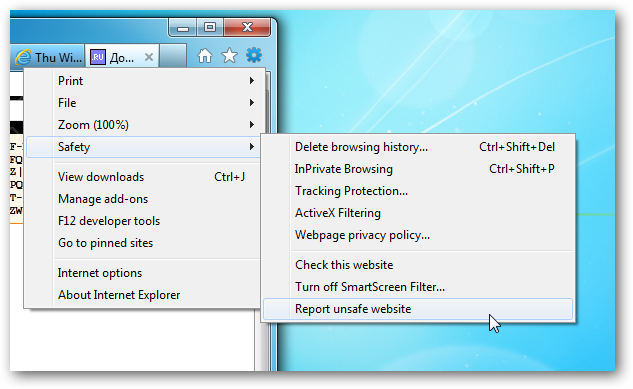 Now click on the Report unsafe website option. This will open a new page where you will be asked if you think the site is performing a phishing attack or distributing malware respectively. 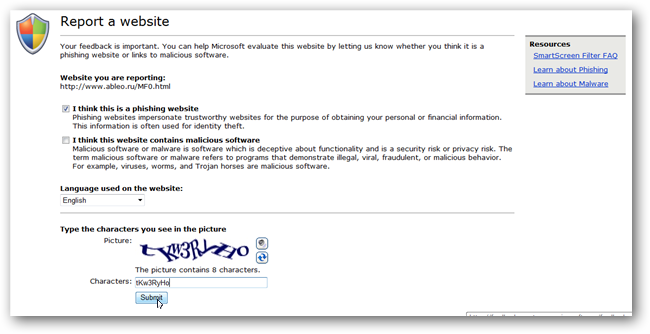 Check the box most appropriate to your situation or both if necessary, fill in the CAPTCHA and hit the submit button. That’s all it takes to do your part if you stumble upon a malicious website, providing you use Internet Explorer of course.